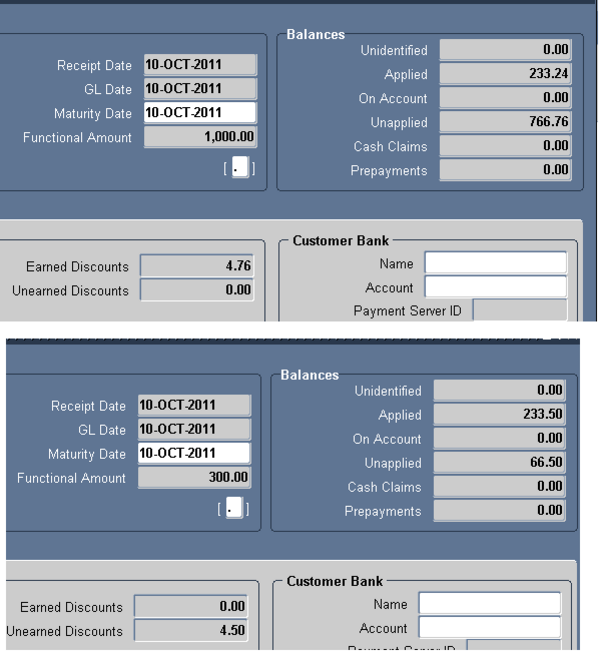 Receivables lets you give discounts to your customers when they pay for their debit items before a certain date. Discounts are determined by the payment terms you assign to your customers. 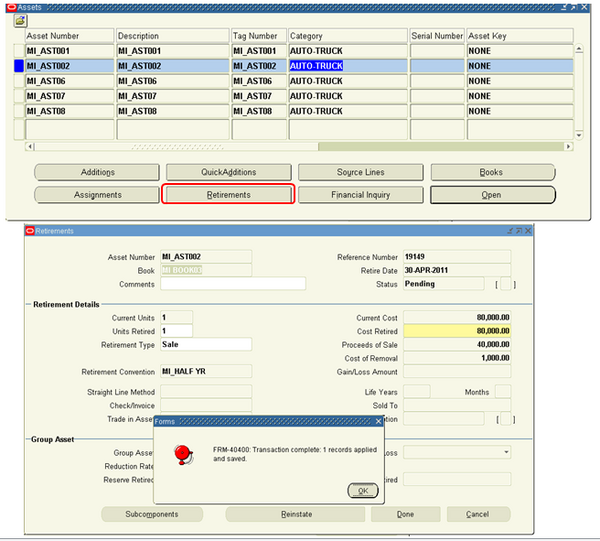 You can also choose whether to allow discounts for partial payments and specify how you want Receivables to calculate the discount on your invoices. 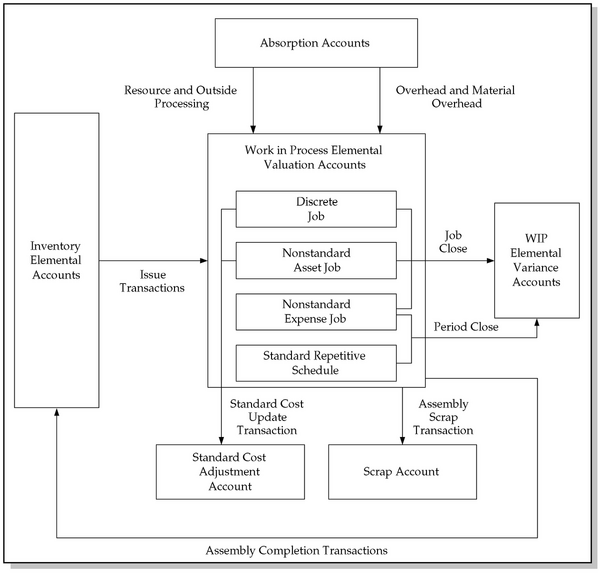 The WIP valuation accounts are charged when material is issued to a job or schedule, or when resources, outside processing, or overhead is earned by a job or schedule. The same accounts are relieved when assemblies are completed from a job or schedule. maintain your asset information in your corporate book, and then update your tax books with assets and transactions from your corporate book. You cannot reinstate assets retired in the previous fiscal year. You can reinstate only the most recent partial retirement. You can reinstate both individual and mass retirement transactions. 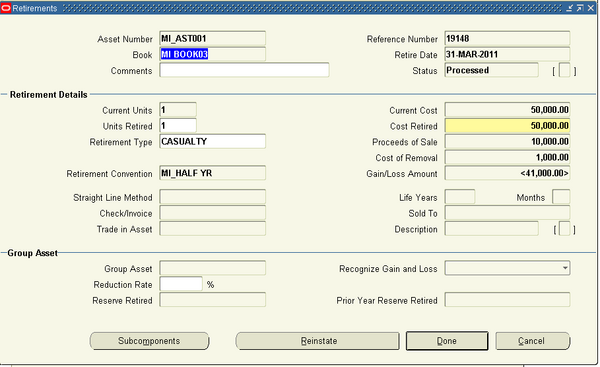 You can use Oracle Assets to retire a group of assets by populating an external interface table with these assets, setting the line status to POST, and running the Post Mass Retirements process. You cannot retire an asset if you added it in the current period. Instead, you must enter your retirement as a prior period retirement after you run depreciation. 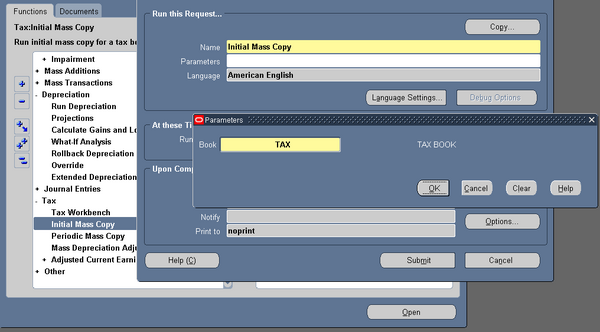 Or if you do not want to create any journal entries, use Edit, Delete Record from the menu in the Asset Details window to delete the asset any time in the current period. stolen, lost, or damaged, or that you sold or returned. You can retire an entire asset or you can partially retire an asset. • When you retire an asset by cost, the units remain unchanged and the cost retired is spread evenly among all assignment lines. Suppliers are first created in header levels which are same for all the operating units. 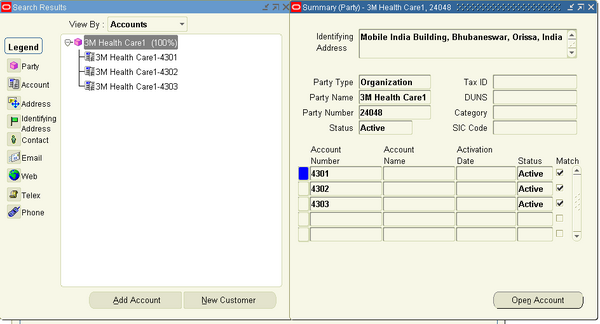 Next we create supplier sites specific to an operating unit. 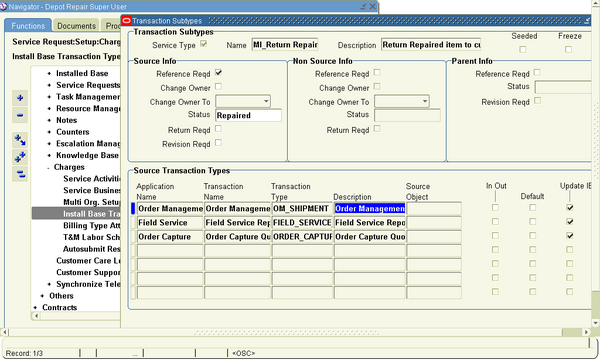 When we create a purchase order/invoice, we create it against a particular site. 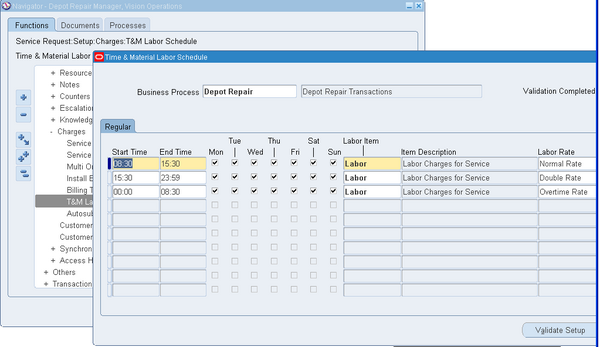 form accessed from the Repair Tasks tab in the Repair Orders form. Service Request > Setup > Charges > T&M Labor Schedule. Each Service Activity that is required to process an Installed Base trackable item must have an Installed Base Transaction Sub Type with the same name as the Service Activity. 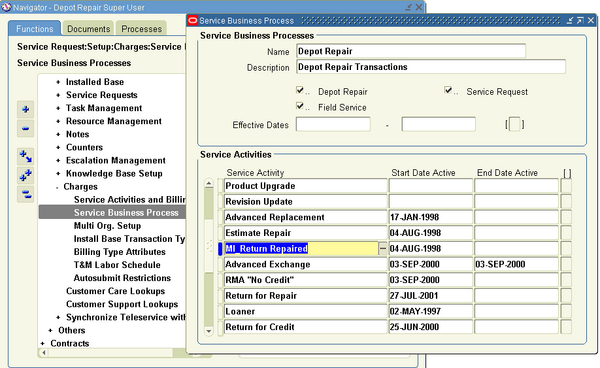 For example, for the Service Activity named Return for Repair, we define the corresponding Transaction Sub Type with the name Return for Repair. A Business Process is a group of Service Activities created with a view to restricting Service Activity availability. A Business Process supports the charge lines that the line of business in your organization can utilize, such as, Depot Repair. How To Get Notification OF For Reduce Inspection sampple plan?